With so many of these green energy boondoggles it looks like this – Obama hands over tax-dollars to a fund raiser who is an owner in a junk “green energy company”. Said owners pay themselves in a big way, give big money to Democrats and go out of business. As of last November (2012) there were 50 such companies. Obama Administration emails released show how green energy money was steered to Obama cronies with sham, junk bond companies. A jaw-dropping revelation came to light in December 2011 by the Trib Total Media, yet it was ignored by the media and even missed by those of us watching the solar world unfold. 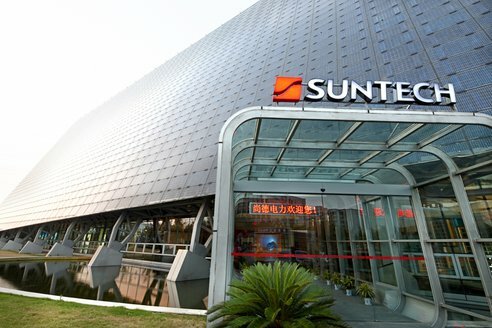 China’s major solar panel companies — whose low-cost products led some American factories to close, helped create the Solyndra controversy and spawned talk of a trade war — were bankrolled in the United States by the world’s largest investment banks. Goldman Sachs, Morgan Stanley, Citigroup, Lehman Brothers, Merrill Lynch, USB Investment Bank and others raised $6.5 billion for seven young Chinese solar panel makers in the mid-2000s by underwriting their securities on the New York Stock Exchange and Nasdaq, a Tribune-Review investigation has found. What most don’t know is that Suntech is a tiny fraction of “Obamanomics Outsourced,” whereas his administration is responsible for steering billions in stimulus funds (and other “green” money) to foreign companies and shipping green jobs overseas. This is clearly a broken 2008 energy campaign promise, but worse, a violation on how the 2009 trillion-dollar stimulus package was sold –– to create jobs and grow the economy here in America. This entry was posted in 2012 Primary, Alarmism, Breitbart is Here, Budget, China, Corporatism, Elite Media, Energy Policy, Lies, Obama, Treason, True Talking Points and tagged business, climate, economy, environment, government, science. Bookmark the permalink.